The new BOLA Column Stand is designed primarily for outdoor users. 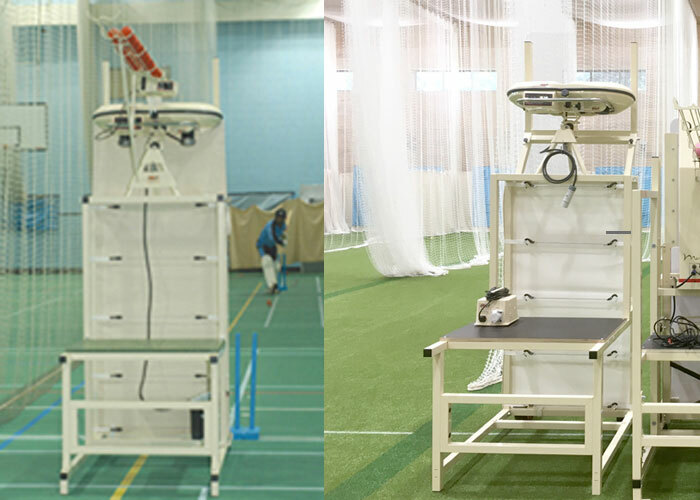 It takes away most of the lifting and carrying required in the normal bowling machine set-up. The stand is adjustable in delivery height between 150cms and 215cms. It has three wheels for stability on all surfaces and incorporates a tray in the base which holds the Battery or Power Pack. It can be fitted with an optional Protection Screen and Net to give the machine operator protection from straight hits. 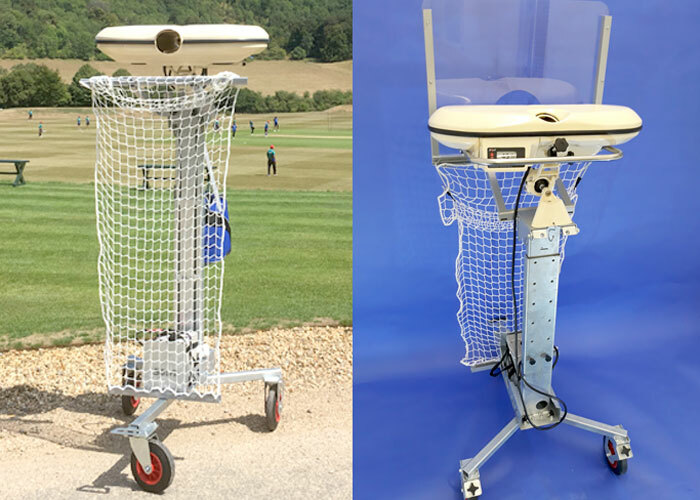 Short legs reduce height of BOLA Machine's delivery for younger players. Short legs are fitted with rubber feet. Short Legs - £48.00 ex VAT. Made from durable plastic, these stumps are supplied on a heavy base and spring back upright after being struck. Ideal for net practice. Plastic Stump Set - £30.10 ex VAT. For re-charging Leisure Battery. The BOLA Power Supply no longer includes a battery charger. Battery Charger - £44.00 ex VAT. 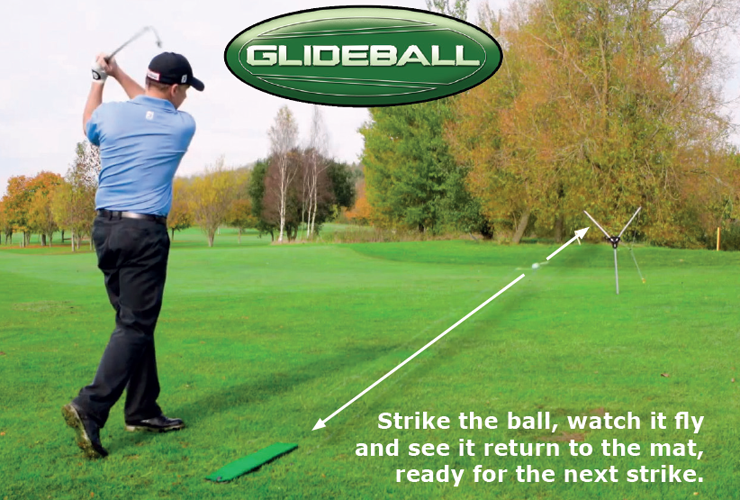 Glideball is the golf aid that allows you to practice safely with a real gold-ball almost anywhere! Glideball is a portable driving range that can be set up in minutes and is ideal for anyone wishing to improve their golf swing by developing muscle memory through shot repetition. You don't even have to collect the balls because Glideball's patented ball return system returns the ball to the striking position! Glideball Golf Set - £49.96 inc. VAT. All Machines are carriage free (UK Mainland only). Please ask for a quotation to any overseas destination. A carriage charge (minimum £9.00 VAT) is payable for all balls and accessories. The carriage charge for a battery is £20 plus VAT - unless it is included with a machine order when it is free. Carriage is payable on machine stands.